Car flips into lake in Loxwood. Members of the public helped rescue a man from his car after it flipped onto its roof into a village lake. The vehicle crashed on the B2133 Vicarage Hill road in Loxwood, at about 8.10am this morning (July 28). Police, firefighters and ambulance crews, including a critical care paramedic, attended the scene. The fire service said the driver, a man in his 30’s, from Guildford, was rescued from the car by members of the public before crews arrived. 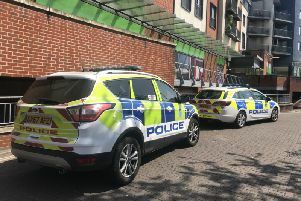 He suffered head injuries and was treated at the scene before being taken to the Royal Sussex County Hospital, in Brighton, for further checks. The vehicle was removed from the lake by 10.10am.